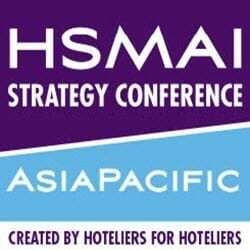 Are you interested in attending a HSMAI event or workshop? Join HSMAI’s Revenue Advisory Board Members, the “Revenue Guru’s” Fabian Bartnick from LodgIQ and Matthias Dybing from Revmandis on what they have to say about Hotel Pricing. Hoteliers offer multiple rates for essentially the same room type, so it’s critical you understand the importance of pricing and all it encompasses. This course explores the strategic pricing and the various pricing-related elements. * This workshop is one course of ten from the HSMAI Certificate in Revenue Management (Hospitality). Do you want to learn more from the Revenue Guru Matthias Dybing? 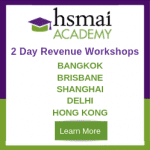 Register Now to HSMAI’s Two Day Workshop in Melbourne this November, facilitated by Matthias Dybing. With global business travel continuing to rise, a higher than average incidentals spend, and a typical travel pattern of Monday to Friday, this session will uncover tactics to leverage travel agents to boost your corporate business bookings. Irene Gerosa, Director of Field Marketing – Media Solutions at TravelClick will cover: – An overview of the Unmanaged Corporate Market (Volume, Business, Reach, Global footprint, Travel Agency Community) – Wearing the travel agents hat “How do travel agents make bookings” – marketing to travel agents’ best practice – New generation travel agents and why it’s important for revenue managers to understand where and how travel agents book hotels. This will be an interactive session, where the audience is encouraged to ask questions and share their own experiences. Join the Data guru, Peter Johnson from Intouch Data, as he takes you through a different way to look at your guest data and how you can gain unexpected insights from processing guest data. Once you have the insights from your data, you’re marketing efforts will all return a higher ROI.